Additionally, enriched data can be sent to the visitor browser for integration with your site personalization tools. For example, content can be personalized on the home page based on the audience’s affinities or propensity to convert. AudienceStream allows you to collect and correlate data about how an audience interacts with your brand off-site or offline, such as call center data and point-of-sale information and add it to your online data for a universal, 360-degree profile of your customer. These universal profiles can be used to dramatically increase the relevance and effectiveness of customer acquisition and retention campaigns. AudienceStream makes your visitor data a living source of insight, expandable over time through powerful marketer-defined business rules. Defining new profile attributes such as content affinity, lead scoring, and lifetime value put you in control of the metrics that are most applicable to your business. Tealium tackles a common challenge for most marketers: how to map visitor IDs to their multi-device use. Our visitor stitching technology enables you to map a consumer’s journey across all of their devices for a unified view that is crucial to campaign planning and analysis. When visitors, their behaviors, and their devices are stitched together, AudienceStream allows you to take action using these key insights and create unique, compelling omnichannel campaigns that may begin on a tablet and continue to a user’s desktop computer. 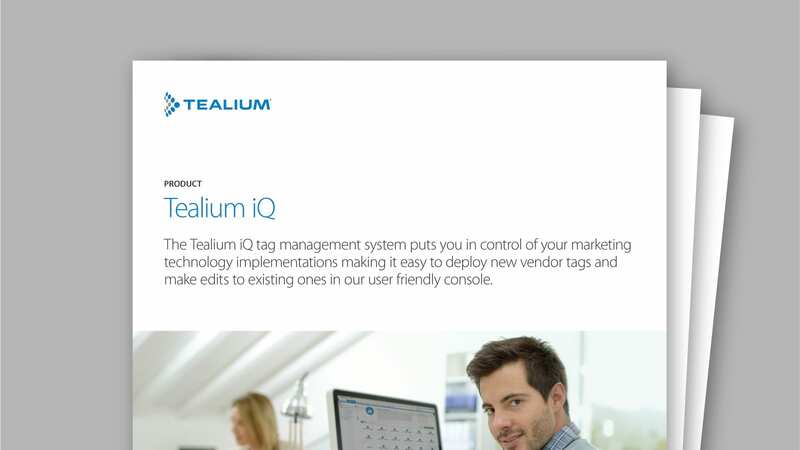 Tealium can track visitor behaviors across several devices using any known identifiers, including Facebook, Amazon, Twitter, LinkedIn, and Google Plus IDs. While real-time marketing is powerful, there are times where delayed action makes sense. For instance, an immediate email offer upon cart abandonment may not elicit the desired response from your customers who think that’s a bit to fast. Instead, you can choose to delay or cap the frequency of actions to your customers using AudienceStream’s powerful action capping and prioritization features.